I won't be around this afternoon because I have an appointment, a few errands to do and I have to get ready to ship out all those cool autographed games this weekend. Notifications will be going out soon, make sure you have hconsole_at_hypothermia.us whitelisted (or check your spam filter). 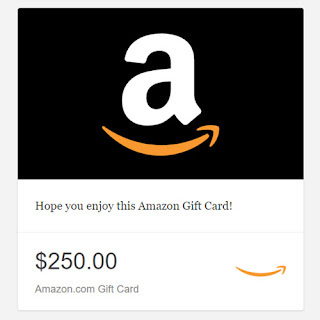 If you need something to do to pass the time, make sure you enter to win our $250 Amazon Gift Card giveaway! Completely free, open to anyone, anywhere!